Hippo is a software package for simulation and analysis of bio-molecules at an atomic level. It has been specifically developed for very efficient protein folding studies in aqueous and membrane environments. Read more (Wiki). 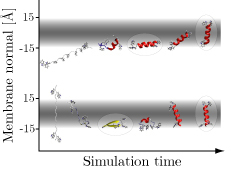 Folding peptides using the implicit membrane method. 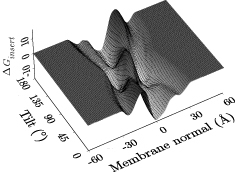 Insertion energy scan for membrane peptides.